In whatever situation, lights will always play a vital role. Lighting has long been studied and used extensively in different fields: photography, film, arts, sciences, medical instrumentation. Aside from providing light at different intensities to serve its purpose, lighting is also important in creating that ambience and feel. Next to home furnishings, indoor lighting is of paramount importance especially if you want to create different atmospheres at different parts of your home. Of course, you wouldn't want white glaring light in your bedroom or gloomy and dim lights in your work room, right? Everything has its proper order so to speak. Flush ceiling lights are perfect for areas requiring a good all around light because it sits completely cleanly to the ceiling. 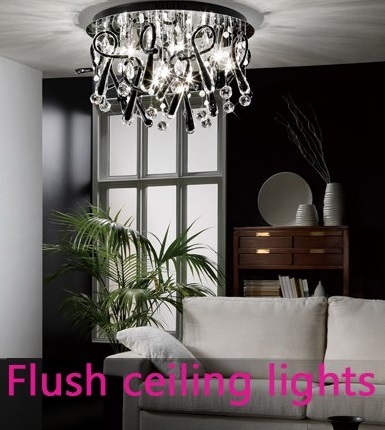 This type of lighting is recommended for bathrooms, living rooms, kitchens and offices. With so many designs to choose from in the market today, you can choose the ones that will suit your room. If you want to get more ideas on which design to choose, Searchlight Lighting offers a variety of styles and types. There are also spotlights, low or high ceiling lights, and even shades that you can mix and match to serve a certain function in your room. Rooms after all, are also sometimes multi-functional so you have to also plan what type of lighting will do just the trick for you.